Have you looked under your range lately? If you haven’t, chances are you’ll find the oven vent filter to be rather disgusting. Cleaning the filter is easy. 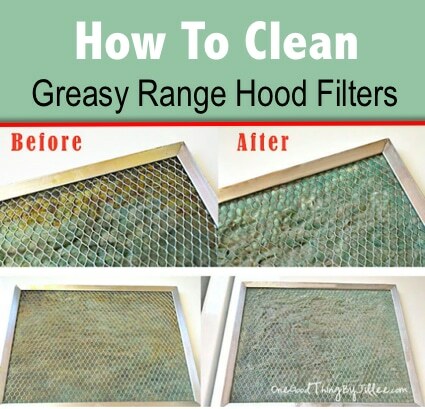 Over at One Good Thing By Jillie, she shows which one ingredient commonly found in most kitchens will clean the range filter and return it to almost new.